Q2427A HP Laserjet 4200Tn Printer - Refurbished with 6 months Return To Base Warranty & Working Consumables. 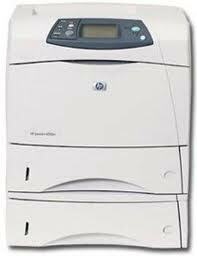 The HP Laserjet 4200Tn Printer is as good as buying new as all worn parts are replaced. This saves you up to 50% off the price of a brand new printer. We are confident that you will be 100% satisfied with your HP Laserjet 4200Tn Printer and are here to help with any support questions you may have. 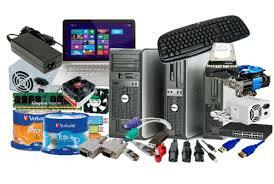 The Manufacturers part number/product code for this item is: Q2427A. Exceed workgroup expectations with the HP LaserJet 4200 series consistently high performance and print quality. Intelligent, versatile and reliable, these monochrome printers offer a wealth of features designed to make them easy to use and manage.Set a performance standard you can rely on with this intelligent monochrome LaserJet printer series.Superior laser performance. Standard media sizes A4, A5, B5 ISO, B5 JIS, executive (JIS), Japanese double postcard, DL ISO envelopes, B5 ISO envelopes, C5 ISO envelopes.